Our fourth horse arrived in July 2013. "Cammie" was better known to us as "Hopalong", due to the way she compensated for her leg/foot problems -- she hopped! 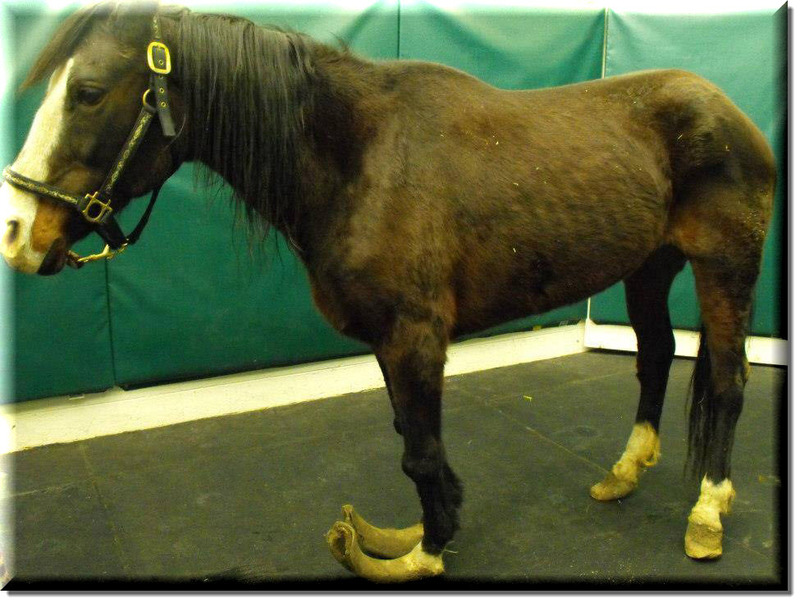 Hopalong's owner allowed her hooves to get inexcusably overgrown (click the link below for pictures). 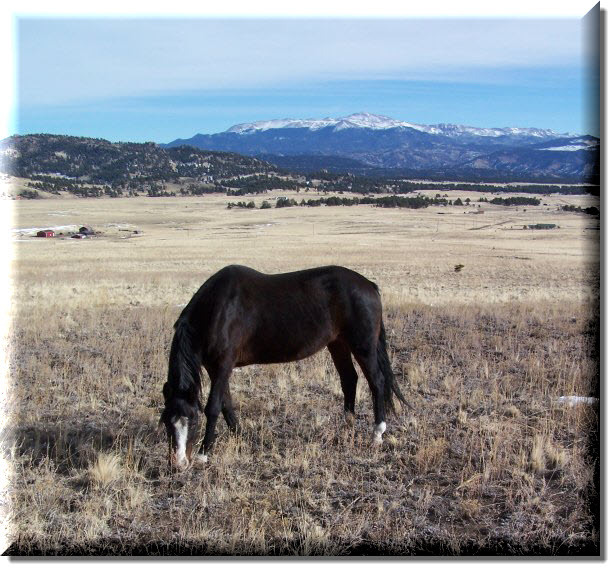 In March 2013, she was impounded on cruelty charges and went to stay at the Humane Society of the Pikes Peak Region. She measured over 12" from the coronet band to the toe of the hoof. She also suffered from advanced arthritis in both "knees" and was not sound for riding. 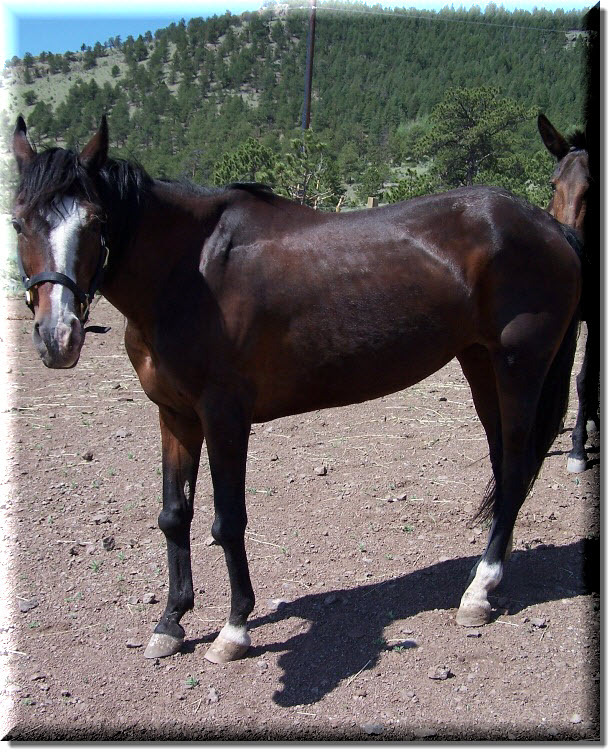 She was a very sweet mare that was incredibly cooperative throughout her whole ordeal. Unfortunately, there was no interest from the public to adopt her from HSPPR, so we were happy to take her! Please take a moment to watch this short video of our Cammie (aka Hopalong). She is featured in this video from 0:55 seconds to 3:42. 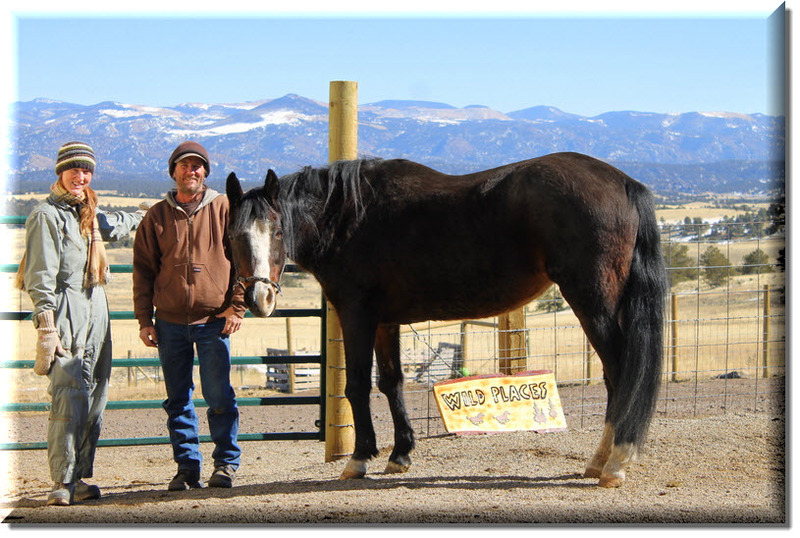 Unfortunately, Hopalong had to be euthanized in May 2014. Two veterinarians, the equine chiropractor, the farrier, and two other "horse people" all agreed that it was her time to go. Because of the neglect at her prior home, her legs were permanently ruined, and one of them finally gave out. Her passing was peaceful, and her pain is over. We wish we could have had more time with her, but we are thankful for the time we had, and for the opportunity to give her love, friendship, and safety. We have a braid of her hair that we will always treasure. Rest in peace, sweet girl. *UPDATE:* Hopalong's previous owner was found guilty via plea deal! He had some decent fines to pay, anger management evaluation, and 18 months supervised probation with no equine ownership/possession or contact. We would have loved to see jail time, but at least our girl got some measure of justice.